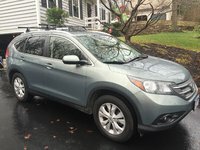 CarGurus has 62,579 nationwide RAV4 listings starting at $1,100. A peppy and thrifty available V6, plenty of cargo space with flat-folding rear seats, decent ride and handling characteristics, available folding third-row seating and a sensible dashboard keep Toyota’s 2012 RAV4 lineup competitive. Perhaps an overdue reworking will address such RAV4 issues as bland interior looks, a stale profile, the oddly positioned rear cargo door and some less-than-refined performance attributes in the standard (and dated) 4-speed automatic transmission. Toyota finds itself offering the same old, same old with its 2012 RAV4 lineup. Delaying a touted lineup-wide redesign may be acceptable corporate strategy, but it leaves prospective buyers wondering if they ought to wait for next year’s version or take the plunge now. Nitpicking aside, this practical, family-oriented crossover can meet just about all the needs of the value-minded commuter. Apparently, Toyota took a Mulligan in delaying the scheduled redo of its popular and practical 2012 RAV4 lineup. The move seems to have proven a disappointment for reviewers and potential buyers alike, with more than a few of each saying that the look of this 5-passenger midsize crossover, both inside and out, is becoming a bit aged. The Japanese automaker doubtless has the cachet to overcome such trivial oversights, but in combination with its recent safety issues, who knows how long the auto-buying public will tolerate corporate arrogance, be it foreign or domestic. In any case, sales remain solid, and anticipation for a new-look RAV4 in 2013 mounts. In any case, for 2012, this handy little crossover again comes in three trim levels, the Base RAV4, the Sport and the top-shelf Limited. All trims come standard with an inline 4-cylinder (I4) powerplant and front-wheel drive (FWD), but all trims are eligible for a peppy V6, as well as Toyota’s unique 4-wheel-drive (4WD) system, which features a manually selectable 50/50 torque split to the front and rear wheels in poor-traction conditions. Alas, drivetrain and available package combinations are subject to geographical anomalies, and some may not be available in certain markets. Agile yet compliant, utilitarian yet comfortable, this midsize family hauler has been around for almost 20 years and represents one of the more value-laden choices in a crowded niche. Cargo space is a cavernous 73 cubic feet with the rear seats folded, and ample nooks and crannies, bins and pockets, not to mention a large glovebox and deep center console, provide ample cabin stowage. New this year is a touchscreen audio interface that's available in all trims, as well as Toyota’s Entune feature with music streaming technology and smartphone apps interface. Nevertheless, with rivals like Honda’s posh CR-V, Dodge’s upscale Journey, Chevy’s refined Equinox, Kia’s similarly agile Sorento and Subaru’s nifty Outback and Forester offerings, the RAV4 design and engineering teams have their work cut out for them. It would surely behoove Toyota to come through with its somewhat delayed overhaul of this otherwise perfectly acceptable mini-ute sooner rather than later. 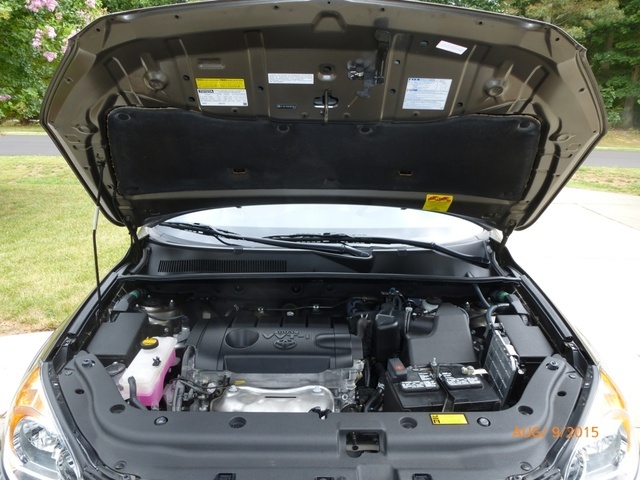 Standard across the 2012 RAV4 lineup is a 2.5-liter variable-valve-timed (VVT) I4 engine that’s good for 179 hp at 6,000 rpm. With the standard 4-speed automatic transmission and a limited-slip differential, expect 172 lb-ft of torque at 4,000 rpm, good enough to tow 1,500 pounds with the proper equipment. Mileage, meanwhile, is estimated at 22 mpg city/28 highway in FWD versions, 21/27 in 4WD trims, with each burning regular unleaded gasoline. All trims can also be delivered with a potent 3.5-liter V6 powerplant that combines with a silky 5-speed automatic, again with the limited-slip differential, for 269 hp at 6,200 rpm and 246 lb-ft of torque at 4,700 rpm. Mileage is pegged at 19/27 in FWD versions and 19/26 in 4WD editions, while towing is maxed out at 3,500 pounds when properly equipped. The available 4WD system is managed by a mechanical, limited-slip center differential, with V6-equipped trims sporting standard descent control. This system runs in FWD for highway cruising, with power automatically and instantly transferred from the wheels that slip to the wheels that grip when conditions warrant. Toyota gets crafty by way of its selectable torque-distribution system that splits power 50/50 to front and rear wheels in sloppy conditions. Finally, hill-start assist and descent control are each available in Base and Limited RAV4 editions when the available third-row seat is selected. In one test, a V6-toting 2012 RAV4 with 4WD screamed from 0-60 in 7.2 seconds, which isn’t at all shabby for an affordable family crossover. Most reviewers contend that the I4 is surprisingly competent from a stop as well, with more than adequate power for merging and passing. Its singular drawback, however, in the minds of virtually all reviewers, is the pokiness of the outmoded 4-speed automatic. Meantime, reviewers laud the V6 as sounding aggressive on acceleration and refined in cruise mode. Most reviewers remain pleasantly surprised at the 2012 RAV4’s ride comfort and agility. Toyota’s midsize crossover sports a 4-wheel independent suspension with MacPherson front struts, as well as a double-wishbone rear end and front and rear stabilizer bars. The Sport trim, meantime, throws in a sport-tuned suspension (shocks and springs) and 18-inch alloy wheels for a bit of a stiffer ride with some very capable cornering abilities. The V6 Base RAV4 and the flagship Limited mount bump-taming 17-inch wheels (steel and alloy, respectively), with the I4-equipped Base trims mounting even more compliant standard 16-inch steel wheels. Alas, non-Sport trims, with their touring chassis features, show some noseplow and body lean in fast corners, though rarely to a distracting degree. Electronic power steering is standard in all trims and described by most reviewers as responsive and true. Brakes are noted by virtually all reviewers as potent and dependable from pedal to pads as well. There are, however, a number of reviewers that find this downsized ute behind such rivals as the Sonata and the CR-V in overall ride and handling prowess. Nevertheless, most agree that Toyota’s RAV4 was designed with the everyday commuter in mind and acquits itself admirably. Let it not be said that the 2012 RAV4 is less than traditionally well-endowed with standard features. 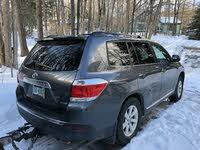 The Base trim, for example, boasts a rear spoiler, cloth upholstery, front bucket seats and reclining rear seats. Convenience amenities include remote power door locks, power windows and power-adjustable outside mirrors, while cruise control, telescoping tilt-wheel steering, steering-wheel-mounted cruise and audio controls and a trip computer also come standard. Comfort-wise, look for air conditioning and cabin air filtration, with entertainment provided by a 6-speaker, MP3-capable single-CD player, bolstered by a USB port. Bluetooth hands-free technology is also provided to complement traditional phone pre-wiring. The Sport trim adds premium cloth upholstery and rear privacy glass to the mix, while the Limited throws in a roof rack, heated outside mirrors and dual-zone climate control. In keeping with its top-shelf status, the Limited trim also sports a leather-wrapped steering wheel, as well as leather and simulated alloy cabin accents. As is customary in this value-conscious niche, the Base and Sport may be equipped with many standard features common to their upper-crust Limited sibling, with the Base I4-equipped RAV4 additionally eligible for 17-inch steel wheels. Those Base trims mounting 17-inch wheels and all Limited trims can additionally be delivered with the available kid-size and flat-folding third-row seat. 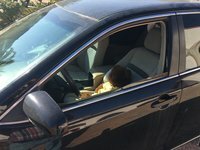 All trims, meanwhile, are eligible for a power moonroof with the Upgrade Value (Base), Enhancement Value (Sport) and a pair of Premium packages (Limited), while these same packages boast upgraded wheels, heated front seats, a power-adjustable driver’s seat and heated front seats as well. A Tow Prep Package, available to V6-equipped trims only, offers extra engine cooling and a beefed-up alternator. Once again, all trims are eligible for standalone options such as remote engine start, rear seat entertainment and roof side-rails, while the Limited trim can additionally be optioned with the Navigation Value Package featuring a 6.1-inch dash display screen incorporating a hard-drive-based navigation system. Satellite radio, a rear-view camera and Toyota’s Entune system with access to traffic and weather information, as well as smartphone apps that offer Pandora Radio, iHeart, Open Table and other internet-based entertainment alternatives, are also included in this comprehensive package. Be advised, however, that like the various drivetrain combinations, options are subject to geographical whim. Reviewers opine that the RAV4’s cabin remains tolerably spacious and well-arranged, though thoughts on seat comfort are a matter of debate, with some liking the front and second-row seats just as they are and others feeling a bit more bolstering and lumbar support are in order. Cabin materials are, according to most reviews, solid, but lack any sort of luxury look or feel. The available navigation system, as noted by almost all reviewers, can complicate audio functions, but controls are otherwise universally considered simple to use and logically located, while gauges are large and easily readable. Finally, rearward visibility is declaimed by several reviews as complicated by the wide rear roof pillars, but the low dashboard and steering-wheel mounting ought to give drivers a commanding view out front and to the sides. Of course, the 2012 RAV4 lineup carries Toyota’s touted Star Safety System, which includes 4-wheel antilock brakes with emergency braking assist and electronic brakeforce distribution, as well as traction and stability control. Front and rear head airbags, of course, remain standard in all three trims, as do dual front side-mounted airbags and front head restraint whiplash protection. The Sport and Limited trims boast standard front fog/driving lights and available turn-signal-integrated mirrors, while all three trim levels can be delivered with an optional antitheft alarm and daytime running lights. The National Highway Traffic Safety Administration (NHTSA) gives the 2012 RAV4 lineup 4 stars, its second-best rating, for overall safety, front crash tests and rollover testing, while side-impact tests yielded its best 5-star rating. The Insurance Institute for Highway Safety, meantime, gives Toyota’s mini-ute its highest rating of Good in front-offset impact and side-impact testing, with roof strength getting its second-highest rating of Acceptable. Owners of the 2012 RAV4 cite iffy brakes, its dated cabin appearance, a cramped driver’s position and the inability of the available third-row seat to comfortably accommodate more than two smallish 10-year-olds. The location of many controls also draws some frowns from owners, while others find the standard entertainment features to be sub-par. Finally, a small number of owners find acceleration from the I4 to be lacking, especially in traffic. On the other hand, many owners find the audio system perfectly to their liking, while others laud this small crossover’s capable V6 engine, almost-posh ride and admirable cabin storage. Handling, especially in the Sport trim, is praised by a majority of owners, while the RAV4’s total value, especially its resale value, not to mention a hefty choice of options, impresses more than its share of others. Finally, a plethora of cargo space, as well as 4-cylinder mileage (pokey as it may seem to some) and that available third-row seat (limited though it may be) have been deal-makers in the minds of more than a few owners. What's your take on the 2012 Toyota RAV4? Users ranked 2012 Toyota RAV4 against other cars which they drove/owned. Each ranking was based on 9 categories. Here is the summary of top rankings. 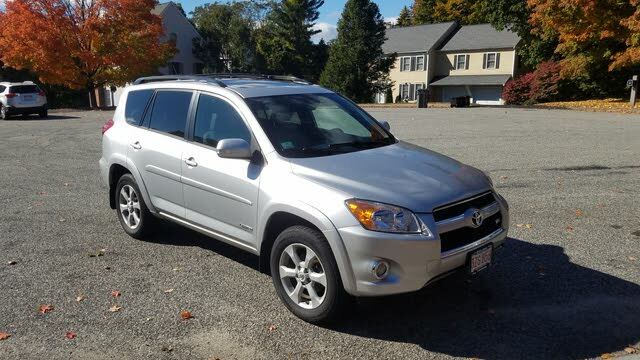 Have you driven a 2012 Toyota RAV4? My windshield washer tank is full and the light want go off. What do I do to turn it off? I had 3 lights come on today, Check Engine, On Trac, and 4WD. What does all this mean? Indicators were reset to off and went back on the next day while driving.